According to Statista, mobile games have generated more than 24 million US dollars in 2016. That large figure is expected to hit over 31 million US dollars by 2020. If you’re a mobile game developer, and you’re not marketing your game, you’re already on the losing side of play money market. This explains why some games development studios go as far as creating TV ads and hiring celebrities to endorse their games. If you’re interested in making the most of your game, you’ll have to promote and market it. Even if you don’t have the budget for a Super Bowl ad or hiring a celebrity for endorsement, there are several other practical strategies you can use. Let’s dig deeper to find out! Many mobile gamers are not interested in reading about how to play your game or how interesting it is. And why should anyone download and play your game just to find out if it’s worth playing or not? You can convince hundreds of thousands of mobile device users to download and play your game by making a short video. Your game’s video should showcase the most thrilling parts of your game and what makes it impressive or exciting. You can make it as fun and exciting as a movie trailer. Don’t make a long or boring video, keep it short, simple and very attractive. Being a game developer doesn’t automatically make you a game marketing expert. Sometimes, you may have to bring a game marketing expert on board to showcase your game appropriately and give it all the fantastic exposures it deserves. While you focus on designing an excellent user interface for your game and making it more user-friendly, mobile games promotion platforms can help you find the right target audience for it. These mobile games development platforms often provide low cost per impression (CPI) for mobile games ads. Some games development platforms can boost your game’s ranking on Play Store within the shortest possible time. They have registered users who are willing to download, install and play your games. So you can quickly gain organic traffic, long installs and engagement to help your game rank higher on Play Store. One of such mobile games promotion platforms that can boost your game’s visibility, ranking, downloads, long installs, and engagement is Showbox. There are over 3 million registered users on the Showbox. This is an easy strategy to instantly expose your game to mass organic mobile game players without wasting your time, efforts or resources. Every game deserves a unique landing page on the internet. 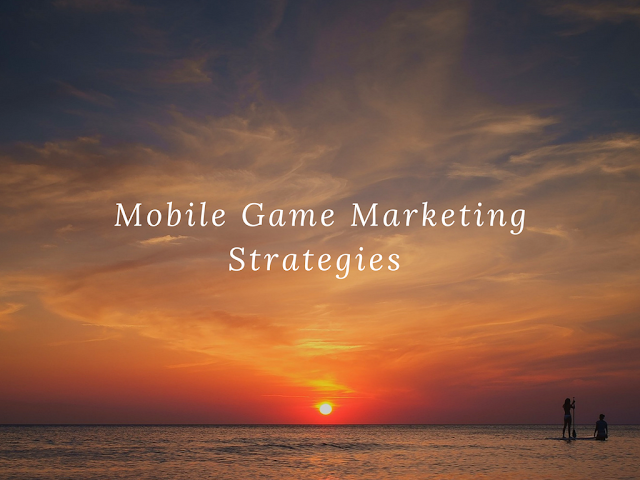 The competition in the mobile gaming space is too fierce for you to limit your mobile game marketing to Play Store. When you create a home for your game on the web, you can blog about what makes your game so distinct and exciting. You can blog about how your game is played, its features, tips and tricks and lots more. Gamers will have the freedom to ask you as many questions as possible about your game. This is a very easy opportunity to use your game’s website as an extension of customer support for gamers. As you blog about your game, use keywords that describe your game in your blog posts topics and content. Chances are your game will pop up in search engine result pages when web users use those keywords when searching online. So on the landing page, place links to the game’s page on Play Store to redirect visitors to your web page to Play Store. .
One of the best methods of marketing and promoting your mobile game is app store optimization (ASO). It’s a strategy that involves several tactics of positioning your mobile game the right way to boost its visibility and ranking on Google Play. If you implement the right ASO tactics appropriately, your game will benefit tremendously from it. Odds are it’ll boost your game’s chances of becoming more discoverable on Play Store search result page. Also, you’ll drive traffic to your game’s page and convert them into players when they download your game. To optimize your game maximally, you’ll have to pay attention to some segments of your game’s page on Play Store. These sections make up the key algorithms that Google considers in games visibility and ranking on Play Store. Once you have the right keywords, you’ll have to use them tactically. Use the keywords in your game’s description about 5 or 6 times for emphasis. You can also use latent semantic (LSI) keywords; they are keywords that are related to your main keywords. Design a visual-friendly and outstanding icon for your game. Sometimes, an icon is what makes the difference between a game that is downloaded more often and one that is not. Also, you should take screen shots of your game on a mobile device and showcase it on your game’s Play Store page. Across the globe, millions of people connect with friends, loved ones, and strangers on social media. The best part? Many people use social media for play and to have fun, some of the exact reasons why people play games. So why shouldn’t you promote your game on social media? You should create a Facebook page for your game. Make sure the profile picture is the icon of your game and make sure the cover photo of the page is the crystal clear vision of your game. You can promote the page and boost some of your best posts to reach hundreds of thousands of people. You can also create an account for your game on other networks such as Twitter, Instagram, Snapchat, YouTube, Vimeo and several other social networks. Pick the best social networks where your game’s target audience are spending time and having fun. Several gaming websites focus on mobile games reviews. Many mobile gamers often visit such sites to learn more about new and trending mobile games. You should submit your game to such websites for reviews. Regardless of the review, you get for your game; one thing is certain: your game will enjoy the spotlight. The best part is you can submit your game to as many review sites as you want for maximum exposure. Pay constant attention to every feedback. Reply as required and if you look closely, odds are some of those feedbacks contain ideas that can make your game better and more enjoyable. Once you see any of such ideas, don’t take it for granted, discuss it with your team and if it’s worth it, don’t hesitate to implement it. Mobile games promotion and marketing doesn’t become successful overnight. It takes some time and consistent efforts. While you’re busy marketing your game, don’t forget to measure your efforts so you can do more of what works and change whatever is not working.